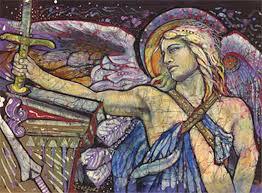 Archangel Michael in a personal reading with Steve Beckow through Linda Dillon, Oct. 1, 2011. Now, you say, well, what about those around me? What about the physical world? And the ability to create and co-create, not only with us, but with each other, is very strong in this new reality that is as ancient as eternity. So there will be shifting of what you choose to construct. Now, this is not to say that you arrive in the Fifth and it is a completely blank slate. There will be what you need there. But what you desire, or need, or believe you need, you will create. And the feeling, the belief that density and structure is the foundation of existence will not be part of that belief system, that reality. [The new environment] doesn’t have the same rules. Now, think of this, my friend. We’re not suggesting that many of the structures you have have not been worthwhile. There are many, many, many worthwhile things that humans have constructed. But many more have been constructed on these false human paradigms that were not real. And they most certainly were not of this side. And they were not of love. They were of belief in the need to control, or be greedy, or be lustful, or limit. This is the one that is always the most baffling throughout the universe. Why would you wish to limit any human being? Any being? It is like saying to a flower, only bloom once. So many of your structures have been formulated on these belief systems that have been based on a much lower vibration than where you would wish to be. If there is love, there is trust. And if there is trust, you can organize yourselves. You are not going to wish to take what another’s land. The land does not belong to you, anyways. It is Gaia’s. She shares it with you. And in this different reality — but this is what you will see when you open your eyes. You will see that you are part of that infinite mosaic. The connectedness will be there and the loneliness will be gone. The yearning? It will not be there. Not in the same desperation that we witness in so many. And that is not a criticism. It is that they yearn to be part of One again. They know that that is who they are. We have waited eons for this time. That is why we patiently restrain ourselves during these months. … We are patient because this is our opportunity. We are meeting in the middle. You are lifting up to a level where we participate very differently. So no, you cannot take all your precepts of the Third Dimension and apply them to the Fifth. What you can apply is that there is a choice and there is a form of physicality. So there will be a period of time when there will be a window, shall we say, that those who have already gone through the door can peek back or reach back, or what we call exhibit, so that they are also helping those who are in preparation for the next wave. S: Is that what is meant by the return of the masters? What it takes is a heartfelt commitment, and an energetic boost. Like jumping a car. That is what it takes, if you have done your work. We are not suggesting that if you have lived a life completely outside the understanding of your spirit or your heart that you will be amongst that first wave. That is very unlikely to happen. (1) That is, where the world is working for everyone. Archangel Michael in a personal reading with Steve Beckow through Linda Dillon, Nov 10, 2011. There are some essential ingredients that we wish you to pay attention to [in responding to Ascension]. First and foremost, anchor in your heart, deeper than you thought was possible. Feel all the cords, and I will be with you cutting them very rapidly. And what you have to do is simply say, yes, yes, yes, yes. All the cords to old Earth, including your idea, some belief systems you may have had about your old self, let it all go. It will feel like you are going through a shower, a light shower. Do not question whether you are able to do this. This is not a mental process. And if you falter at any moment, turn to us, because we are all in attendance. Yes, all of us. So then, anchor in the heart of One. Then simply feel yourself as if you are drifting down the sacred spiral, staying within, into the fifth. So, anchor, ascend, drift back. Do not come back to Three [i.e., the Third Dimension]. It is over and done with. What will be different? We have suggested [that] you will feel a sense of disconnection. And we want you to. That is your – what is your expression? – high five that you have arrived! You will feel that there is a different sensation in what you think of as your five senses, that you are hearing, seeing, perceiving differently. Do not try and immediately navigate your new reality. Allow yourself to anchor knowing that Gaia is grounding you and has chosen to give this gift to you as you are giving it to her. Allow yourself to anchor and to feel … well, we would say a sense of solidity underneath your feet, even though if you allow yourself to look, you will see things differently. You can give it solid form if you wish, but you will also see the molecular, subatomic patterning of whatever it is you are looking at. And what else is you will begin to see quite clearly – not in an overwhelming sense of a way, because we are being very careful with this attunement, but – you will begin to see many of us. No, it is not your imagination, dear friends. We have always been here. And we have told you for a long time that even in the Third reality the veil had been eliminated, but in the Fifth it was never even invented. It was never constructed. So there will be a sense of greater vision. You will look at things – whether it is nature, birds, animals, tables – and you will simply perceive them differently. And you will perceive the life force, the sacredness, not only in your fellow human beings. Yes, you are not being sent on a solitary journey. So there will be a difference in perception. The greatest gift is clarity, and it is the clarity not only of the integrated heart, but the integrated being, the deepening of connection to all. Now, you are not forgetting what you have left behind. And for you who are the way-showers, amongst the first, it is important, because even if you are not a gatekeeper, you are holding the energy for so many. You are not participating any longer in the energy of the Third Dimension. That is over and done. But that does not mean that you are not aware of what is transpiring. But your sense of involvement, and certainly emotional involvement, will simply not be there. And it is not intended to be there. It is not part of that dimension [Fifth] or that experience. It cannot be. So it is a letting go, but it is also a remembering, or a vision, and a holding of the higher truth of what is being accomplished. And when you are holding that energy, you are beckoning energetically to millions. Yes, each one of you. Is it a big job? Yes. Is it an adventure? Yes. Is it doable? Beyond a shadow of any doubt. (1) It always seems to boil down to how we feel. That seems always the most important thing. I can’t think of anything more important. (2) I already am able to shake my leg and a morning ache will instantly go. Same with my arm. 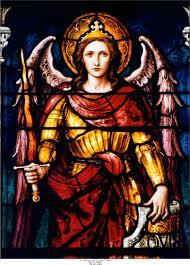 (3) Archangel Michael in a personal reading with Steve Beckow through Linda Dillon, Nov. 11, 2011. 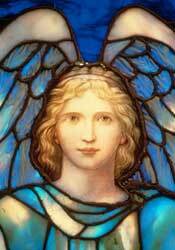 In the course of re-reading all the channeled readings I’ve had with Archangel Michael through Linda Dillon, I came across two discussions from 2011 of what really happens at Ascension. Ascension is both gradual and sudden. There is preparation, integration, and assimilation and then a jump (such as a heart opening or Ascension itself). Then more preparation for the next jump. “Ascension” itself refers to what Hindus call moksha, mukti, or liberation. That’s an event known as Sahaja Samadhi and constitutes a full and permanent heart opening. It happens somewhat inside the Fifth Dimension. It’s that event that Michael is talking about here. Steve Beckow: I don’t think there is anyone, Lord, that I am aware of who has told us what actually occurs when we ascend. What actually takes place that the word ascension refers to and applies to? What are the events that we would be aware of, or even not aware of, that constitute ascension? Steve: As in my being a co-creator? It is a feeling of complete and utter surrender and bliss. It is a sensation — physical, mental, emotional, spiritual — of union. So there is a moment where you feel, oh, I have died. Because that is the sense of such release and reconnection. But of course you are not dying. Quite the contrary. Now, in much of your history or literature — and I do include sacred books in that — ascension is also related to a keeping of some kind of physicality and form. Now, some will choose not to do that, and that is fine. But that is a choice. But let us talk about you. Let us use you as an example. Because you have done your very deep work, and your heart is committed to this path for many, many years. There will be that sense of blissful connection that you have experienced a couple of times, (4) but it will be even more so. The sense will be that you are flying upward. It is a physical sensation of movement. And a remembering – or the sensation of remembering – that you have wings, or the ability to fly. So that is the feeling of ascending up the sacred spiral. There will be a period, which can be moments or a few hours, of feeling disassociated, that even if you were to open your eyes and you were to look at a floor, you would see that it is simply made of particles, subatomic particles, quantum particles, that it is not solid. So you have begun immediately to have the real sensation or vision of how things can be seen, and how they may be seen from this side. So there is a sense of unreality. Now, if you wish to make things solid, you just simply say that you want that, and it will appear. But the knowing that that is simply a construct that you are creating already is there in full consciousness. When you decide to open your eyes, how you see the colors, the textures, the richness, the air will be very different. What you think of as your senses will be heightened, oh, at least a thousand-fold. So, there is a little adjustment. And we are with you, and we obviously take care of that, because this is completely a joyous situation to be in. Think of it as being spiritually orgasmic. It is the union of all. Then, you will settle into this knowing, and of course that choice of physicality. But also know that if you choose to keep physicality, immediately what you have noted as, what we would [call] human aches and pains are gone. But the biggest shift is you no longer live or exist — you can visit, you can exhibit, but you do not live — within the Third Dimension, [after] that movement of what you think of as going up the sacred spiral. That is the best analogy I can give you. It is the elevator to the Fifth. And further [up], for some who choose. There will be some who simply choose to keep going. But as the collective, that is the Plan. And it will be the place of love. It will be all of a sudden that the decisions, the actions, the existence, the form is from love – is love, and is from love, and is of love. (5) So that sense of either/or, of what you traditionally have thought of as yes or no, of duality, of polarity is gone. Steve: The work we do in completing our old business and upsets [vasanas, core issues] makes for a smooth transition, is that right? AAM: Yes, it does. Think of it in terms of when a baby, a human baby is birthed, sometimes it is a very easy delivery; sometimes it is 30 hours of labor. Sometimes the mother decides to birth in the fields; sometimes she births in the ocean. Sometimes she goes to a beautiful room; other times she goes to an operating room and has a C-section. But the birthing still occurs. So this is what happens. (1) We have only to think of what we want in a Fifth-Dimensional state of consciousness for that object to appear. What we call thought, they think of as creative imagination. (3) The more vasanas left unprocessed, the bumpier the journey. (4) Several times. Most recently at a meditation retreat. (5) And just as our sensations have expanded a thousandfold, so will our experience of love. The higher-dimensional love that we then will experience will be so satisfying and joyous that … the world will work for everyone. “If you come across a Koala in the wild, you will find it in one of two states – awake, feeding and tending to its young, or dozing in a fetal position, it’s rump securely wedged into the fork of a tree. It is believed that the Koala slips into an altered state of awareness after ingesting the eucalyptus leaves that form the heart of its diet. Whilst in this state, it is mused that it can enter other realms of reality, or journey deep within the inner landscape. Once there, it is thought that the Koala gathers knowledge and is able to offer healing in ways not considered physically possible in the tangible world. Koala also fosters the notion that, as spiritual beings, we inherently know the answers to all of our questions, with the knowledge we seek stored deep within our consciousness. Koala demonstrates the healing flight we must take in our personal quest for answers. It embraces the inner journey to the core of the deepest self. To journey with the Koala is to quest for the ancient knowledge and spiritual awakening hidden within our consciousness. Koala represents a sacred journey that is unique for everyone, an expedition that supports the individual needs and requirements of all people. 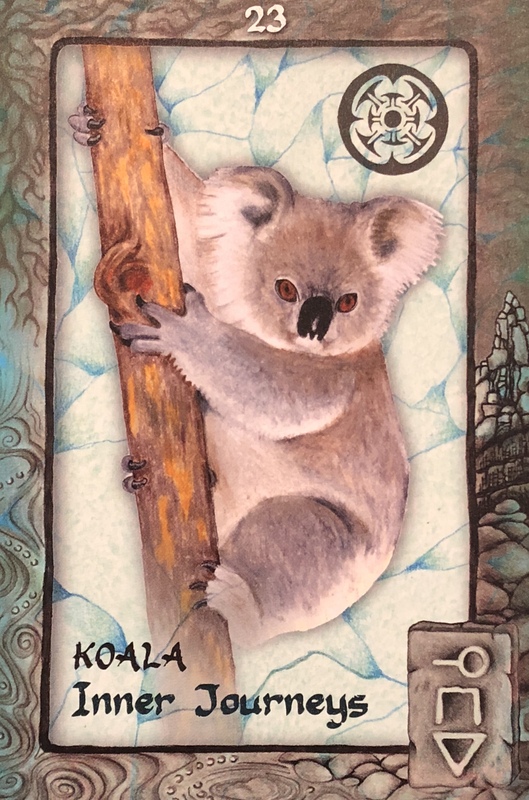 If Koala has snoozed his way into your cards today, you are being assured that you inherently know the answers to your questions. Now is the time to start taking notice of your inner self, your innate connection to all the information of the Universe. Stop looking to others for corroboration, advice or wisdom. Take responsibility for your own life, your own path and your own destiny by listening to your heart of hearts. Koala says that you must start your own journey; a quest that will unlock that answers you seek from a place hidden deep within your essence. The journey must begin today. Koala’s healing journey is an experience of unimaginable proportions; a flight beyond the boundaries of the physical body. Slow down and pay attention. We move so quickly through life sometimes we miss the finer details. There is a missing piece to the puzzle and it is right there in front of you, can you see it? We rush around, so much to do, so much stress, so much distraction. Even when our bodies are still our minds are often going on hyperdrive. We need a break from all of this. We need to center back into ourselves, aligning body with mind and spirit… or spirit and mind with body. If you are feeling stressed or ungrounded, take some time today to do some deep breathing, grounding and centering exercises. Get back into your body and into the present. Get into the Now moment. Crystals can help you with this, obsidian, hematite, smoky quartz, garnet or black tourmaline are great grounding stones. Try holding one in each hand, bare feet on the grass, sand or dirt and face tilted up to the sky. Feel your feet grow roots and send them right down into the center of the Earth. See your crown chakra open and a ray of light connect you from crown to Universe. Feel yourself as a conduit, a vessel for both of these powerful energies as they flow through you. Up from the Earth, through your roots, through your chakras and your meridians, and up into the sky. Down from the sky, through all your chakras and meridians and down the roots deep into the ground. Feel the energies getting stronger with each inhale and each exhale. Once you are grounded and aligned and the energies are flowing, ask if there is a message for you. Ask for signs, confirmation or guidance. Take a few deep breaths and see what comes to you. If nothing comes, set the intention that you will receive the knowledge withing the next 24 hours. Send gratitude and love, take a few more deep breaths and know that you will receive exactly what you need in order to move forward by looking within.